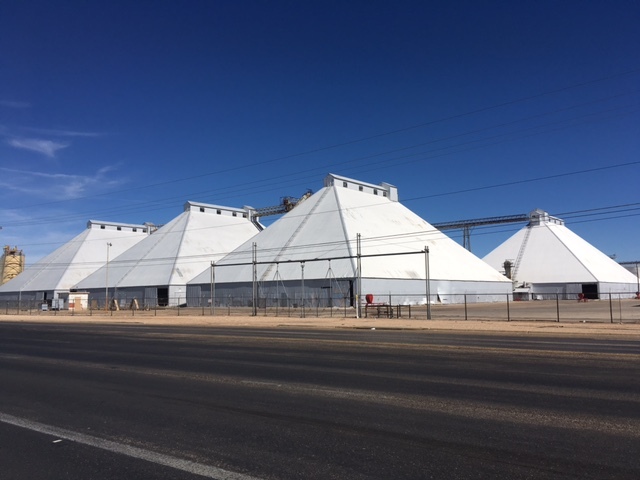 Trip Log – Day 347 – Lubbock TX to Slaton TX | How Will We Live Tomorrow? Llano Estacado, the Palisaded Plains, also known as the Staked Plains because early Spanish explorers drove stakes to mark their route through the featureless grassland, has been geologically stable for ten million years. Larger than the state of Indiana, this flat land in western Texas and eastern New Mexico tips ever so slightly to the southeast. The Commanches called it ‘the place where nobody is.’ People passed through it for thousands of years; water was available from a series of springs that follow a line from present-day Lubbock to Portales NM. But nobody lived here permanently until the 1880’s, and meaningful settlement didn’t occur until after the First World War, when we developed mechanical methods for drawing water from the Ogallala aquifer. To get an idea how flat this place is, consider that I have not crossed a bridge in five days. There are no rivers, even dry ones, on the Llano Estacado. In less than a hundred years this area has become home to over a million people and an abundant source of cotton, sunflowers, sorghum, and watermelon. Lubbock is the defacto capital of Llano Estacado, home to a quarter million people, major hospitals, Texas Tech University, railroad hubs, and epicenter of rockabilly musical talent. 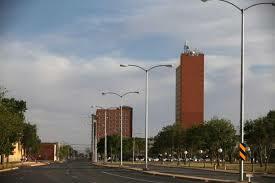 On a Monday afternoon, downtown Lubbock is a windblown, lonely place. But its most famous son stands tall against the West Texas Music Walk of Fame. Buddy Holly in his thick glasses. That’ll be the Day. 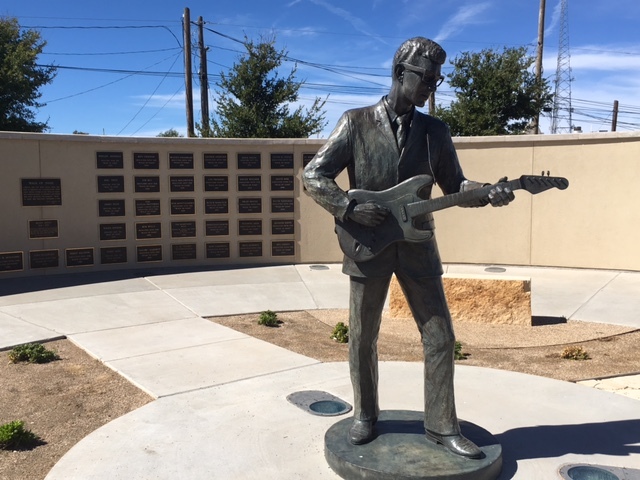 This entry was posted in Bicycle Trip Log and tagged Buddy Holly, Llano Estacado, Lubbock TX, Ogallala Acquifer, Wast Texas Music Walk of Fame. Bookmark the permalink.